In this version, we took a close look at our integration with Collibra and fully automated the whole process. Before, when we integrated MANTA with Data Governance Center, it required an initial setup that was tailored to fit each customer. But now it’s all part of the product, automatically ready to connect to your DGC! This next new feature is a big deal for our partners who work with systems that MANTA doesn’t support, usually ETL tools, etc. These tools can contain SQL which our partners need to parse in order to understand their customers’ BI environments. 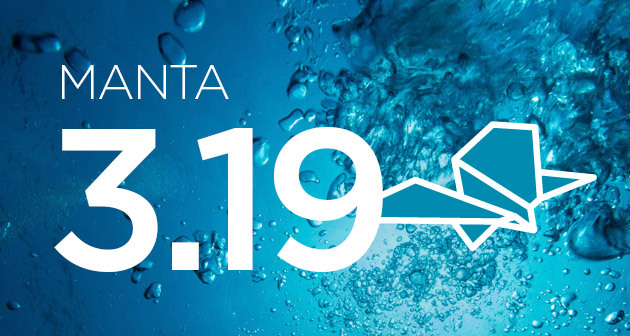 With MANTA’s new „MANTA Service API“, our partners can now connect MANTA to their own solutions, make it crunch all the code in the customer databases that they can’t read, and then pull back all the information to provide their customers with detailed and accurate data-lineage. So with the new “MANTA Service API” and Public API we introduced in our last release, you can now use MANTA’s SQL-analyzing superpower ANYWHERE. You’re welcome. We boosted all the analyzation processes as well, especially the DB2 connector. So now when you are exporting to IBM InfoSphere Information Governance Catalog, you can see the SQL source code right in the window. MANTA does static code analysis, and one of its handicaps was dynamic SQL analysis. In 3.19, we have made steps toward speeding up the process of analyzing dynamic SQL. MANTA is able to recognize and read your dynamic SQL patterns, although some specification is needed from time to time. Last but not least there have been a few improvements affecting Informatica PowerCenter integrations. For example, MANTA can now easily read what database IFPC is connected to, which significantly decreases the amount of manual work required in the initial setup, saving many hours of valuable time on MANTA x Informatica integrations. *We have not verified this claim; it’s just based on my personal experience. Please, don’t sue us. Also, if you have any questions, just let us know through the online chat or schedule a meeting with our specialist!